I was looking to find some sanity and decided to make a quilt. (I am woman, hear me roar!) I can do this! After reading many web pages, I found that I was in for a long ride. However, I found a simple pattern (rail fence) and began to analyze it. I decided to make a 6" square. I don't know if this size is a good size to start with, but it worked...mostly. I say it this way because I didn't always cut a straight line with my rotary cutter. I had the plastic ruler to hold at the edge where I should cut. I just can't draw a straight line with a ruler either. haha. So after I had all the lines sewn together, I found to make the squares uniform (ok close to it) I had to change to a 5 1/2" square. Close enough. Its my first quilt and it won't be perfect. I don't have a lot of money so I made due with what I had. I have a Viking 116 Emerald machine and used the feet that came with the unit. I used the A foot (I believe this the basic straight & zigzag stitch foot). 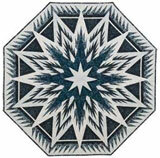 Looking at what is available from the dealer, I am thinking this will be my basic quilting foot as well. The brochure has a clear open toe foot, but I think I have plenty of space with this foot. Anyway back to the quilt. All my squares are cut and I sew them together to make some rows. As I stitch some rows together, I see my squares don't all line up. Close enough. Its my first quilt and it won't be perfect. I get it close enough that I don't think anyone will notice unless they are trying to find flaws. Now my front is all together. I get the the batting and the backing ready for assembly. Hehehe. I used thumb tacks to put the front up on the wall. (with the number of tacks, my husband did notice all the little holes.) I am able to safety pin all 3 layers together mostly and remove it from the wall and place on the bed to finish pinning. Now its time to start quilting in the ditch. I wish I would have found the Beginning Quilting 101 at this point. I started sewing in the ditch in the step pattern. Oh my goodness was this a pain in the behind! After I sewn and turned and sewn and turned a few row sets, I realize that it is just going to show as squares on the backing anyway. I could have just did straight lines. Close enough. Its my first quilt and it won't be perfect. I finally finish this part of the quilting and now work on "closing the quilt up". I read somewhere that I could leave an inch of batting surrounding the front, leave an inch of backing around the batting and then fold backing over batting and onto the front. I used a double needle to sew that final seam. And I think it turned out pretty nice. I finished and am proud that it looks good and is useable. Oh and because I didn't know how bad it would look, I bought fabric remnants at a very cheap price. Surprisingly, they look good together, I wasn't even trying to match when I picked them out. I just tried to get enough fabric. Whew! I hope you didn't need too many Kleenex's. When I look back on all my issues, I remember "Close enough. Its my first quilt and it won't be perfect." My husband like the finished product enough that I am now tasked with making one for our bed (king size). But I have the ok to spend real money and match up the fabrics. :) Went shopping at Joann's with my coupon's and am ready to start this next one. I am thinking of doing 3 1/2" strips to make a 9" square. I really enjoyed your story. 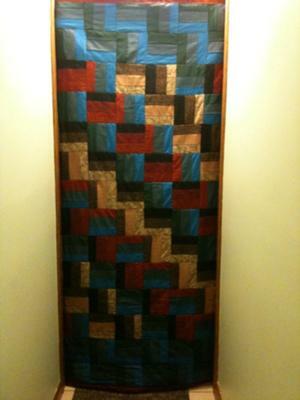 My first quilt was a rail fence also for my second great-grandson. All the way through it, I was just like you and 20+ quilts later, nothing has changed. I still make mistakes and in the end, I still love all my quilts. I liken it to my husband's pursuit of the "perfect golf game" ---good goal, doesn't really matter in the end! I really liked this one! And who really wants a "perfect" quilt? The imperfections are proof of the human effort that goes into our projects. So far, I've made errors on every single quilt that I make, but those are the ones I remember not to do next time. 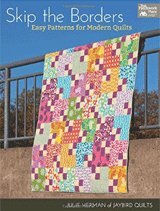 Congratulations on your first quilt and I hope you have lots of "next times" to come! Hooray! Your quilt is wonderful. You are so right: keep the mantra going that it is your first quilt, it doesn't matter. If we were concerned that "it matters" we'd never get started. It takes a lot of courage to do something you've never done before. 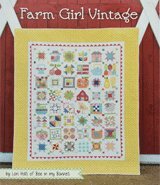 I have made a few, and when I start a new quilt I have so much confidence that this one will be done right. Then half way through I start muttering to myself that it doesn't matter. As I am close to the finish line I get so discouraged because I have been staring up close at all my mistakes. But guess what: when it is completed and I hold it up and stand back, I am so proud! And I think to myself that I've learned so much, the NEXT one will be right. Wow...I tried the same pattern in black and yellow, and started it last March. I, too, had problems matching the points and it dips on the corners. I really enjoyed putting it together. It's for my nephew and his new wife. I had done a lot of sewing through the years but never a quilt before, I bought black material for the back, but still haven't gotten there to put the layers together to machine quilt it. My 15 year old daughter got me into this as she has made three quilts in Sewing class at school, I was so proud of her...Now we each have a sewing machine set up in my dining room and sew together. I did repeat those same words over and over, "Its my first quilt, they will never see the mistakes, I made it with a lot of love". Now I just have to find time to finish it. I am so proud of the top...you did an awesome job...Hope mine does as well. After quilting for a year, I still can't sew a straight line to save my soul!!!! Loved your story; I could identify with it in many ways. 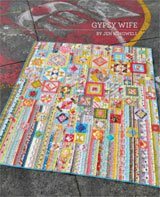 I loved your story, similar to my first quilt, thought "I can do this", made many mistakes, mismatched points, and random stitches. But the quilt is still on my bed (queen/king) and love it just as much as I did the year I made it. Good for you! You made up your mind to start the project and finished it, too! I agree that worrying about mistakes causes you to miss out on the good feeling that comes with a completed project. 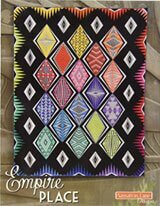 Learn from your experience and encorporate it into your next quilt.